Here's an interesting sentence to ponder, from today's Ha'aretz: "The Arab lobby at the United Nations, backed by Russia, foiled a Palestinian Authority initiative to include a condemnation of Hamas' seizure of the Gaza Strip in a UN resolution against Israel." 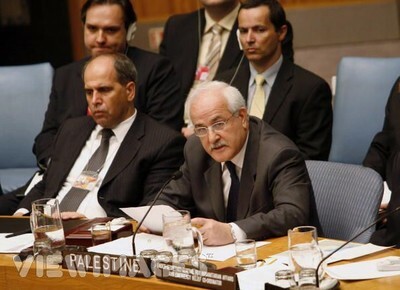 Riad Mansour, UN observer from "Palestine." But, under Arab state pressure, this was toned down to "concern about an illegal takeover." Mansour himself was subjected to a barrage of insults, led by the representatives of Egypt, Syria and Libya, who claimed that his initiative would be interpreted as a UN condemnation of Hamas, thereby easing Israel's cutting of electricity and fuel supplies to Gaza.